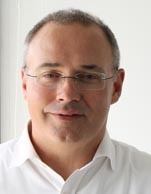 Philip is our Founder and Managing Partner. Prior to founding Transport Capital he was Co-Founder & CEO of the FSL Group, a Singapore-based provider of leasing services to the international shipping industry. During his tenure at FSL from start-up in 2003 until mid-2013 he oversaw the acquisition, financing and deployment of approximately US$1 billion in maritime assets. He was also the driving force behind the highly successful IPO of FSL Trust in March 2007 which raised about US$330 million in equity proceeds in a globally marketed offering culminating in FSL Trust listing on the SGX Mainboard. In the context of client investment management and advisory mandates Philip currently serves as Director and CEO of Nasdaq OMX Copenhagen listed Nordic Shipholding as well as Non-Executive Director of BW Pacific. In addition Philip is an Independent Non-Executive Director of ASX listed Wellard, a non-executive Director of Bengal Tiger Line, a Director of the Standard Club and Standard Asia, as well as Deputy Chairman of the Singapore War Risks Mutual. Philip is also a Member of the Advisory Panel of the Singapore Maritime Foundation.